Running in circles is not my cup of tea. Just the thought of running a long distance makes me exhausted. As for my daughter, the sport of Track and Field events means she will not get kicked in the shins anymore. Runners gather en masse like a Justin Bieber concert at the first track meet of the season. 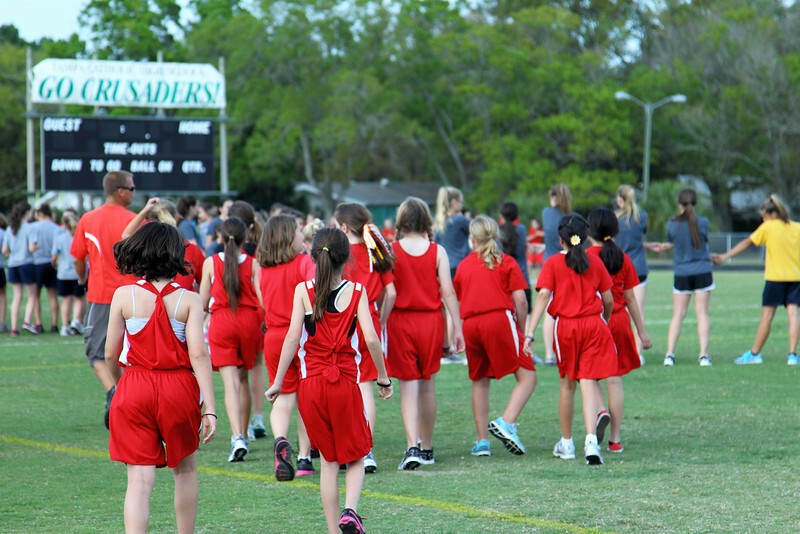 Track and Field Teams from the schools of the Catholic Diocese compete in several events such as relay, sprint medleys, discus, javelin and long jumps throughout the season. 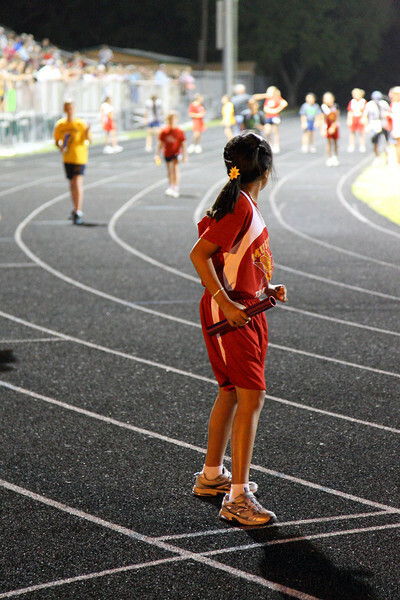 The competition from other schools was just as tough as the lighting conditions with "Friday Night Lights". Stadium lighting is not the ideal light for freezing action but not all sport arenas can be like the Super Bowl. When the sun finally went down, I was pushing the ISO to 6400 to prevent motion blur. Even equipped with fast f/2.8 and f/4 glass, the image grain began to look like winter snow. 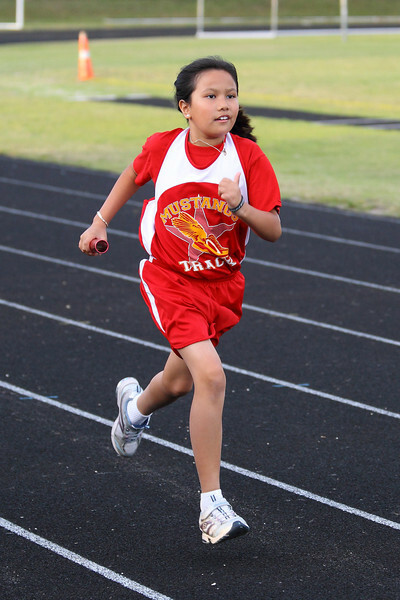 The last time my daughter ran this fast was to the nearest shopping mall for the latest Vera Bradley, Hello Kitty or Apple Store for the latest products. 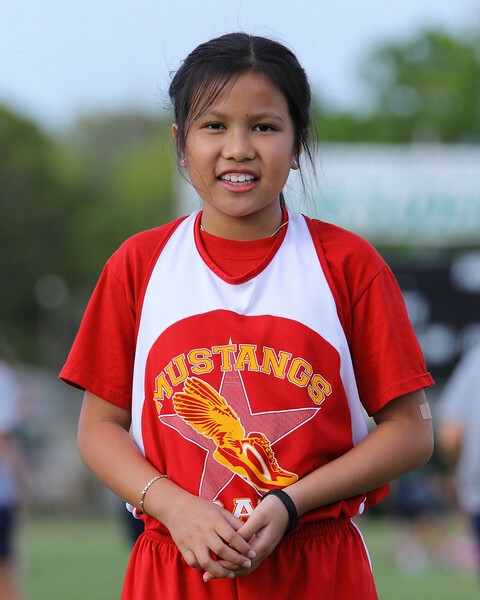 The spirit of competition and sportsmanship fills her running shoes. Although, she would also gladly accept a Hipster or the latest iPhone 4S around her neck than any shiny medal. You can view more Olympic events in my Daughter's First Track Meet Galley shot with the Canon 1D Mark IV paired with EF 24-105mm f/4L, EF 70-200mm f/2.8L IS II and the EF 300mm f/4L IS lenses.